When the Land Rover Defender went out of production in 2016, you could have floated a boat on the tears of car enthusiasts. While said enthusiasts wait for a promised all-new Defender, Land Rover is temporarily reviving the original. 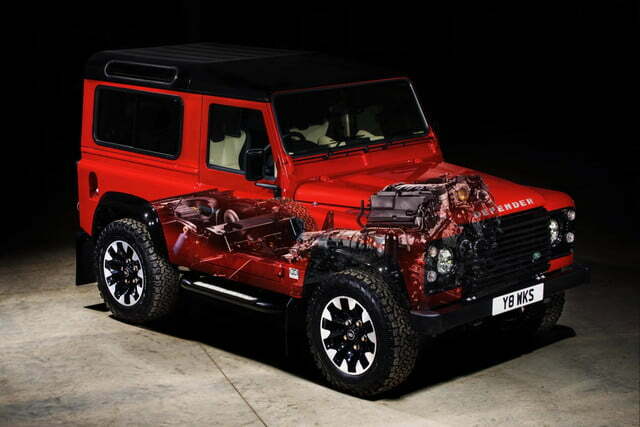 The Land Rover Defender Works V8 is a limited-edition model built to celebrate Land Rover’s 70th anniversary. 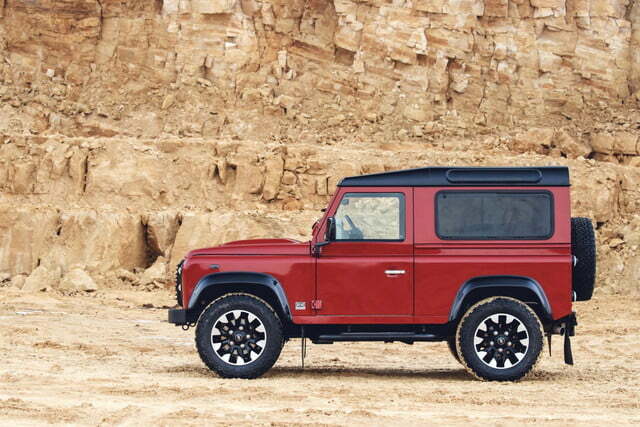 It’s an appropriate gesture, given that the Defender’s lineage leads straight back to the original 1948 Land Rover Series 1. 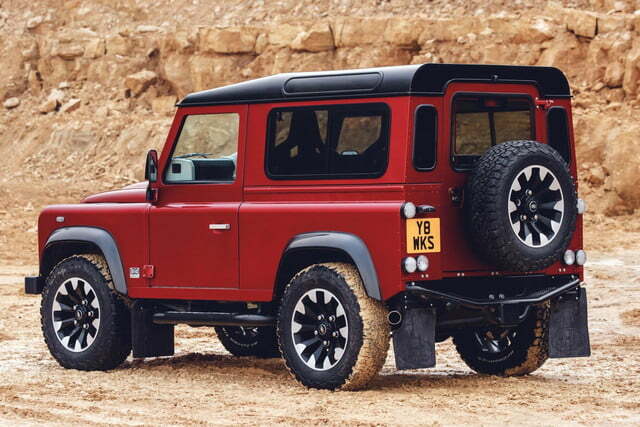 But the Defender Works V8 is a far cry from that vehicle — or any previous Defender. 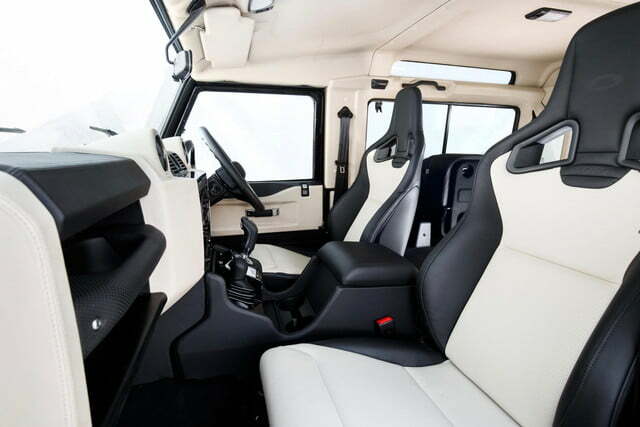 As the name suggests, this limited-edition Defender has a V8 engine. Specifically, it’s a 5.0-liter V8 that produces 405 horsepower and 380 pound-feet of torque. That’s a big increase from the 122 hp and 265 lb-ft of the last production-spec Defender, Land Rover notes. 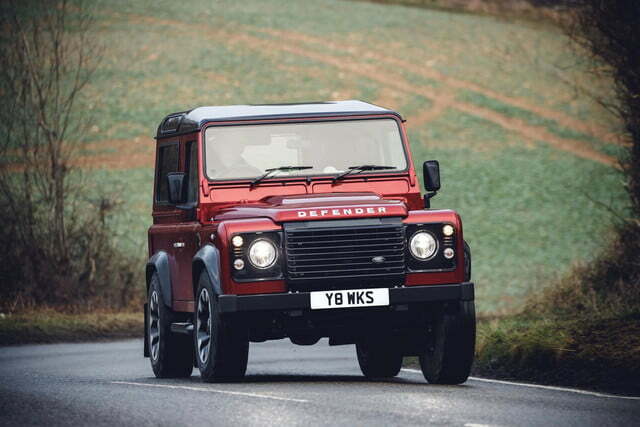 The Defender Works V8 can do 0 to 60 mph in 5.6 seconds and reach a top speed of 106 mph. 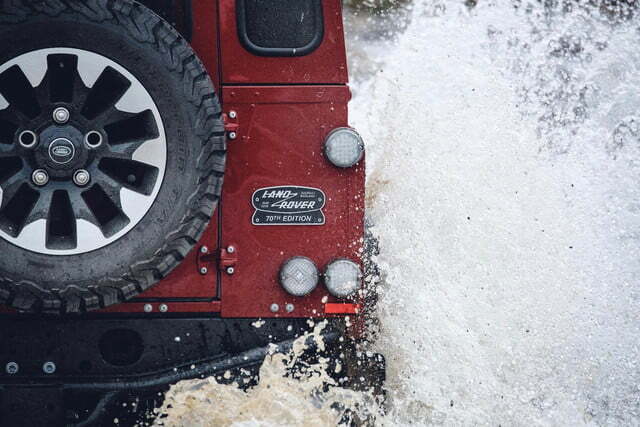 It’s the fastest and most powerful Defender to ever leave the Land Rover factory. Land Rover has offered V8 engines in the Defender before. The last one was a 190-hp 4.0-liter V8 from the second-generation Range Rover, which was stuffed into a limited number of 50th Anniversary-edition Defenders in 1998. But the majority of Defenders that rolled out of the Land Rover factory had smaller and less-powerful diesel engines. Aftermarket companies like East Coast Defenders have sought to fill the power gap with their own V8 conversions, something that didn’t escape Land Rover’s notice. 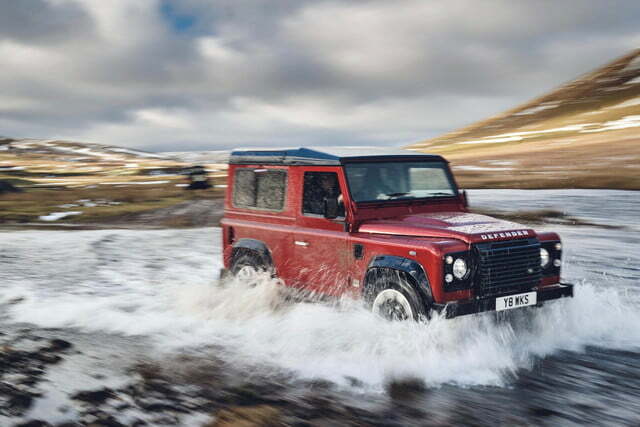 “We knew the demand was there for a powerful and fast Defender; the Land Rover authenticity is the ultimate finishing touch for discerning clients purchasing these collector’s-sdition Defenders,” said Tim Hannig, director of Jaguar Land Rover Classic Works, which will build the vehicles. Besides the V8, the conversion also includes a ZF eight-speed automatic transmission, upgraded brakes, and a “handling kit” (new springs, dampers, and anti-roll bars). Visual changes include 18-inch “Sawtooth” alloy wheels, LED headlights, and model-specific exterior color schemes. 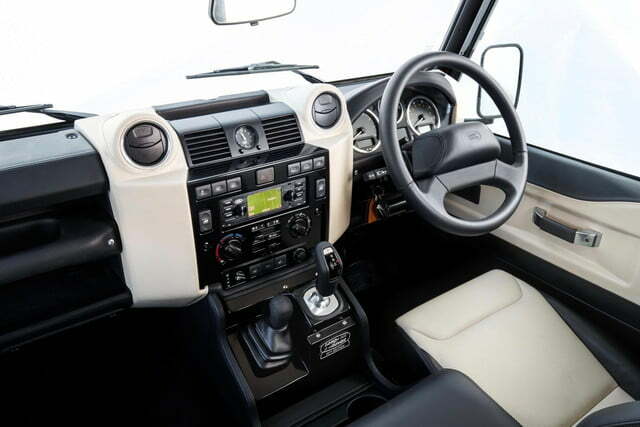 The interior is trimmed in Windsor leather, and features Recaro sport seats and a Land Rover Classic-specific infotainment system. 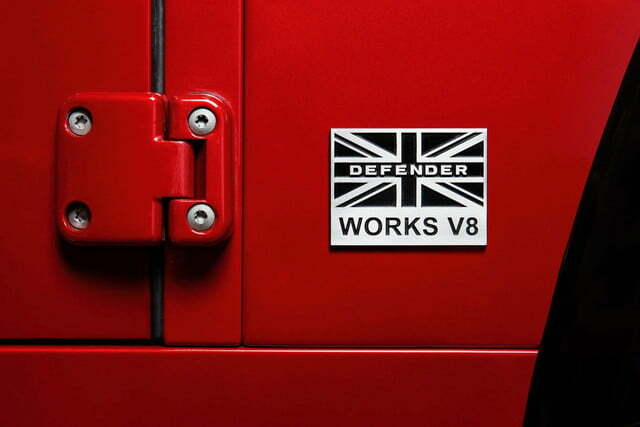 Like the standard Defender, the Works V8 will be offered in short-wheelbase 90 and long-wheelbase 110 configurations. Pricing starts at a steep 150,000 pounds ($206,800) for the 90. Only 150 will be built, and none will be imported to the United States. But if you want a V8 Defender, there’s always the aftermarket.